Jonathan G. Ornstein, CEO of Mesa Airlines, often lamented that pilot unions distorted the free market by commanding higher wages. The market for pilots has changed, and wages at Mesa and other regional carriers are now inadequate for attracting new pilots. 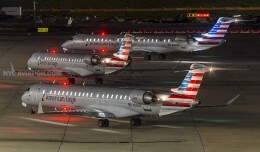 Regional carriers have responded by offering hiring bonuses and resorting to canceling flights, due to a lack of crews. Aspiring young pilots confronted with the increasing costs of pilot certification and the perceived lack of economic reward have increasingly been seeking other careers. Pilots resigning from regional carriers are often taking jobs with major airlines, foreign carriers, and jobs outside the aviation field. The replacement new-hires, once plentiful, have become what economists term a premium good. United Airlines recently announced a profit of one billion dollars for the third quarter of 2014, mimicking several other the U.S. carriers. The biggest profit area for United was in domestic operations. 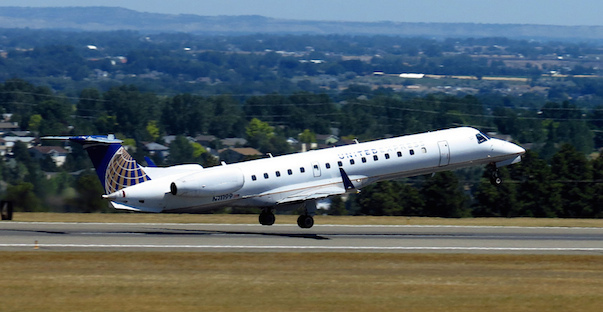 But a large part of United’s domestic operation is not flown by United, but United Express – outsourced to regional carriers such as Mesa. For over a decade now, airlines have been expanding this outsourced flying. 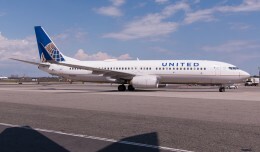 Prior to the merger with Continental Airlines, United’s fleet had shrunk by almost half of what it had been in 2001, while United greatly expanded its regional operations to replace those retired airframes. But there was another side to the earnings report from October: Regional operations shrunk by almost 1% and essentially broke even while mainline operations expanded slightly and were highly profitable. This is an easy statistic in the report to catch, but what isn’t clear is why there is such a large discrepancy when comparing the mainline CASM (cost per available seat mile) to the regional CASM, which isn’t listed in United’s quarterly reports. The mainline CASM for the current quarter was 13.51 cents while the regional CASM was 19.92 cents. Let’s put this in perspective by reviewing the costs and operation in the previous (second) quarter of this year. 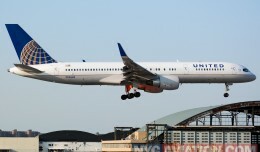 United Airlines runs hourly service between New York’s LaGuardia airport and its hub at O’Hare in Chicago. The average fare on this flight is $161A. The 11 a.m. flight used to be on an Embraer E-170 operated by Shuttle America with 70 seats. The cost United paid for that regional service was $10,500B. The flights just before and after it were often on an Airbus A319, the smallest airplane operated by United. United’s A319 is outfitted with 120 seats and the operational cost was $12,400B for the flight between New York and Chicago. At United’s average load factor of 85%, the A319 was profitable while the E170 was a money loser. To add capacity, United could have added 50 seats by adding a CRJ or ERJ on the half hour at the cost of $7,500B. Or for less than $2,000, the could have replaced one of the E-170s with one of its own A319s. Looking at United’s current schedule, we can see it has done just that. The E170 was dropped, and the airplanes for this time period are now A319s, B737s, and B757s. 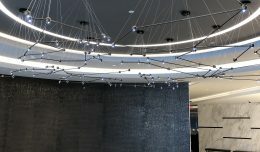 United substantially increased the seats available to Chicago and removed the regional service. 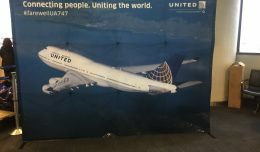 The downturn in air travel after September 11th and the 2008 stock market collapse forced most carriers like United to reduce capacity. The rebound, and the inevitable long term increase in air travel will require carriers to either expand or lose market share. The higher cost of regional service will be mostly prohibitive unless regional carriers are able to reduce costs by 30% to compete with the mainline carriers’ own product. This “middle class squeeze” of rising labor costs and intense pressure of competing with mainline carriers’ own product will make regional carriers — once the darlings of the industry — the pariahs of investors. A information provided by FlightAware.com. B information based on the previous July 2014 2nd Quarter Report by United Continental Holdings, Inc. for mainline and regional CASM.